Two "eggs" = balls, male equipment? 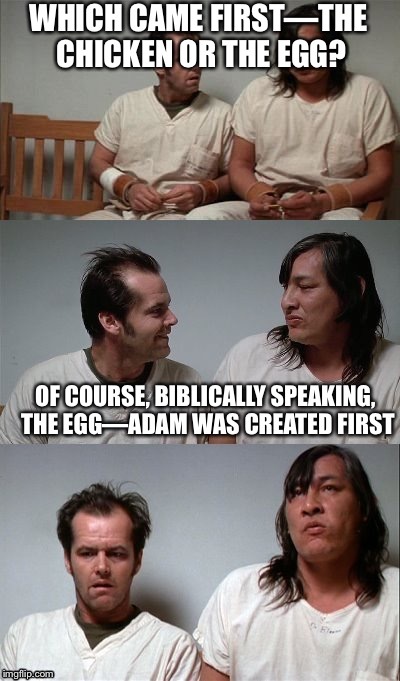 The egg came first. Adam was created first.